Order a print here (watermark on the photo will NOT appear on your print). 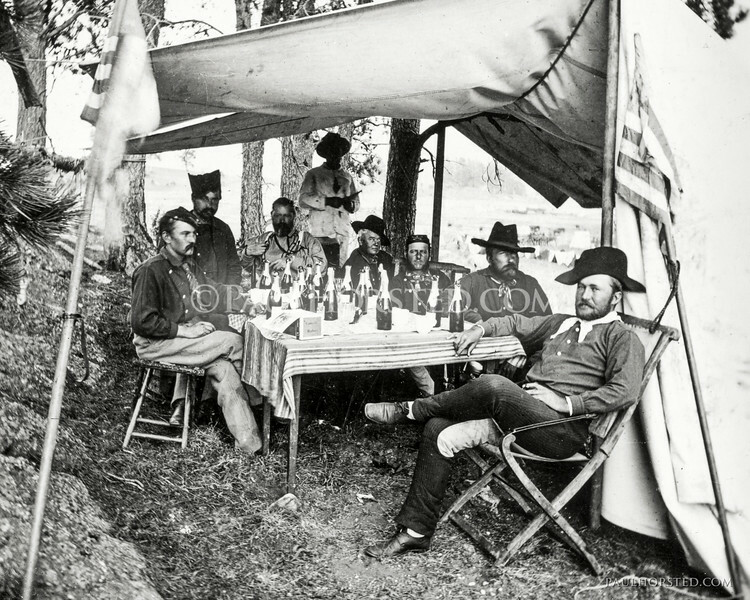 Officers drinking champagne on the 1874 Black Hills "Custer" Expedition (photo by W.H. Illingworth) or gals sharing sherry (?) at an unknown South Dakota location, by a photographer probably named "Clarke". As seen at the Sage Creek Grille in Custer, SD, I'm making these available here due to popular request.